Creators gotta stick together. 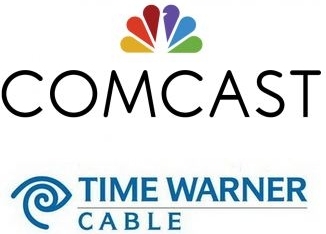 That’s why Future of Music Coalition is proud to join Writers Guild of America, West (WGAW) in urging the Federal Communications Commission (FCC) to block the proposed merger between cable and internet behemoth Comcast and the slightly smaller behemoth Time Warner Cable (TWC). We probably don’t have to tell you that both companies routinely win the top (dis)honor for worst customer service. What might be new information is how much control Comcast already has over what you see and hear. If the company is permitted to acquire TWC, they’ll possess unparalleled power over the future for music and video. Our joint petition to deny the merger, filed before the FCC on August 25, 2014, makes the case that a combined company would reduce opportunities for creators of all kinds—including the folks that write for television and movies, as well as musicians and composers. Given Comcast’s already troubling record of obfuscation and discrimination, should we really just trust that they won’t squeeze consumers while putting the kibosh on competition? The creators of top-shelf television and video programming understand the dangers of letting one giant company rule over so many aspects of our modern communications infrastructure. Music is a huge part of this ecosystem, from the songs you hear on cutting-edge TV shows like “Breaking Bad” to local cable platforms where musicians and songwriters can reach audiences in their own communities. Then there’s the problem of a massive Internet Service Provider getting to pick winners and losers online. If Comcast decides that a certain music app is the only one available on its on-demand service, or if they prioritize Internet traffic for companies that can afford to pay big money, musicians could be locked into systems that serve the interests of the biggest companies and not necessarily their own. Comcast is already free to exclude its own products and services from consumer data caps, while slapping subscribers with overages for using other applications. Under such policies, artist-friendly innovations may never get out of the starting gate. You can read the full filing right here. We’ll keep you updated on developments.